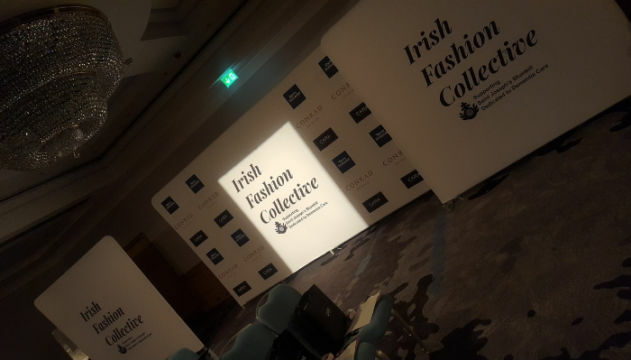 This year’s special guest designer was Paul Costelloe, who showcased highlights from his international Autumn Winter 2018 womenswear collection, alongside a collective of other leading Irish designers. 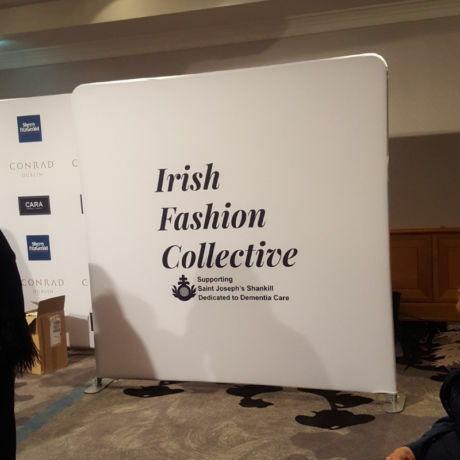 Other designers showcasing their collections were Louise Kennedy, Zoe Jordan, Roisin Linane, Melissa Curry, Deborah Veale, Sarah Murphy, Aideen Bodkin, Electronic Sheep and the Design Centre. iQ Branding Solutions also got a chance to showcase some of the stands from the range of Pop-Up Stands. 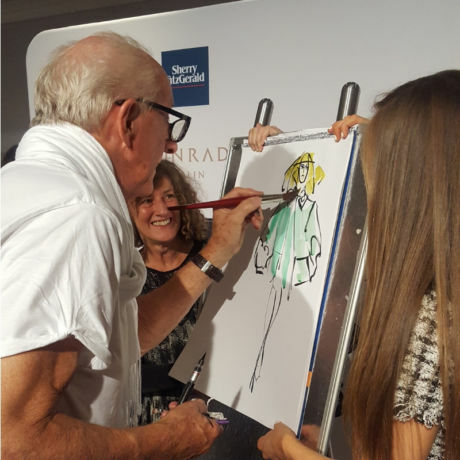 They were used to create a fantastic stage at one end of the catwalk and for a backdrop for the photographs of the guests as they arrived at the event. At Irish Fashion Collective charity fashion show.